One of my few outdoor scenes, this painting takes full advantage of the natural shadows of daytime. Allie was a great little kid the day I met her. She took my hand and gave me a tour of her grandmother’s garden, which she helps tend and loves. 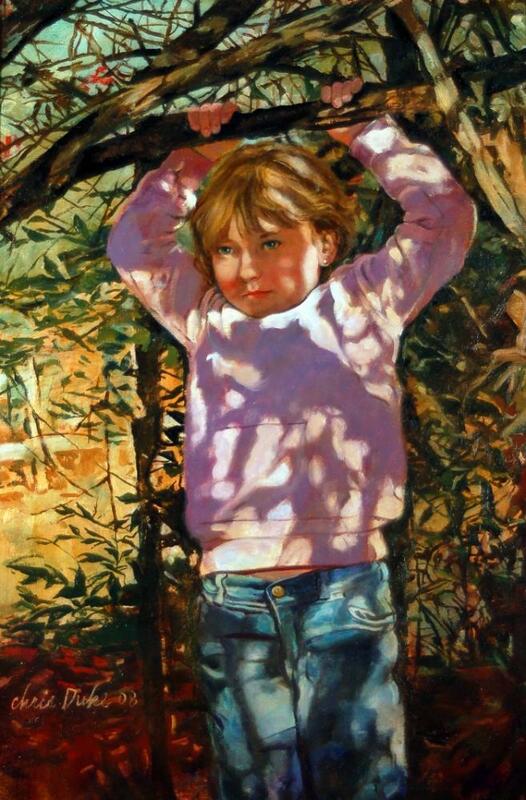 Sometimes, in a painting, one sees glimpses and intimations of who a young child may become.